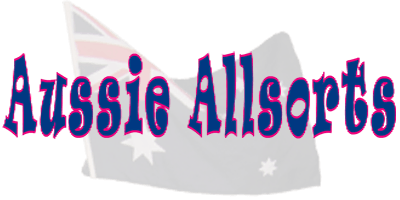 HSIE/Humanities - Exploring the significance of history, people, groups and events in the development of Australia. Recognizing, appreciating and accepting the different cultures that make up Australia today. Exploring the different cultures and ethnic diversity of Australia. Through sketches and storytelling, Tim and Ruth explore the timeline of Australian culture and how it has changed and developed over the years. The pair start with stories of the many aboriginal nations, their way of life, their tools, weapons, artefacts and their trade with their northern neighbours across what we now call the Timor and Arafura seas. From the arrival of the English, on through the Gold rushes of the 1800’s Australia experienced an increase in immigration of people from many countries around the world, many hoping to find huge amounts of gold. With each new culture came new fashions, new foods, and new ways of mining - the Chinese dug their mine shafts round while the European dug square shafts. The children of these settlers, having no memory of the countries their parents left, started to think of themselves as Australian and not as European, American or Asian as many of their parents did. After two world wars and the continuing flow of people from every nation in the world into Australia, our nation has become the vibrant, dynamic Australia that we all live in today. Aussie Allsorts is an understanding of our journey to, and celebration of, the lifestyle we all enjoy today. Very engaging. Good short snippets of historical moments. Relevant to the curriculum. Tim and Ruth were very enthusiastic! Good for the Students. Jodie Cartwright. Yr 5-6. Iramoo Primary. VIC. Mar 2018. Students were engaged. Information was great. Done in a fun/interactive way. I like how they explained info after each skit. Really good! Bianca Gordon. Year 2. Bacchus Marsh Grammar School. VIC. Mar 2018. Price: $6.00 per student ($5.45 + $0.55 GST). Times:Show: 50 minutes. Set up: 40 minutes. Pack up: 30 minutes.